Fears over a possible Brexit this Thursday have pushed speculative bets on gold to the highest level in twenty years. Non-commercial traders (i.e. 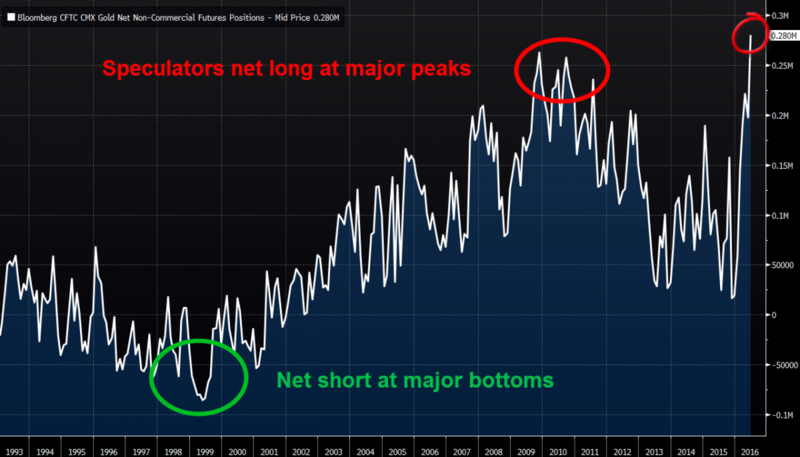 speculators or "dumb money") are often considered a contrarian signal since they tend to be net short (bearish) at major bottoms and net long (bullish) at major tops. Non-commercial traders have now pushed their speculative bullish positions even higher than the 2011 peak. 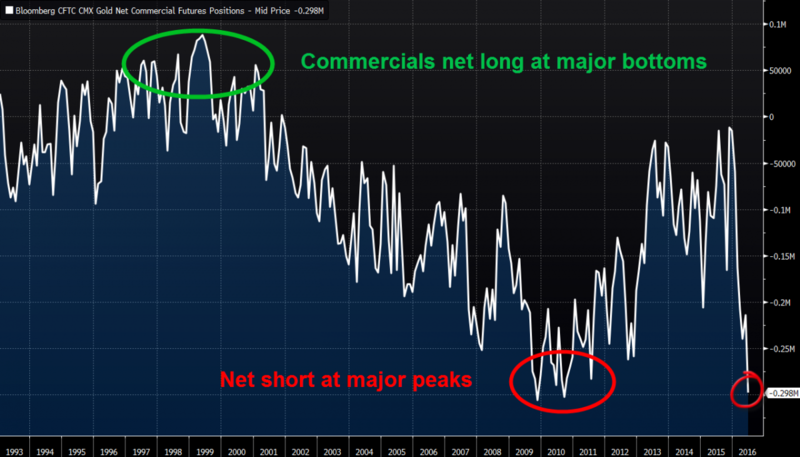 Commercial traders tend to display the opposite behavior—net long at major bottoms and net short at major tops—which is why they are oftentimes referred to as the smart money. They are now the most short or bearish since gold's last major peak. As you can see from the charts above, both commercial and non-commercial traders dramatically reversed their positions starting this year in 2016. If a large amount of this positioning is related to speculation or hedging surrounding the upcoming Brexit vote on June 23rd, which could have massive implications for the banking system as a whole, a vote to remain in the EU may lead to a dramatic selloff as speculators unwind their massive bets. If, on the other hand, UK citizens actually vote to exit the EU, the potential uncertainty resulting from this would presumably benefit gold and prove "dumb money" speculators correct. 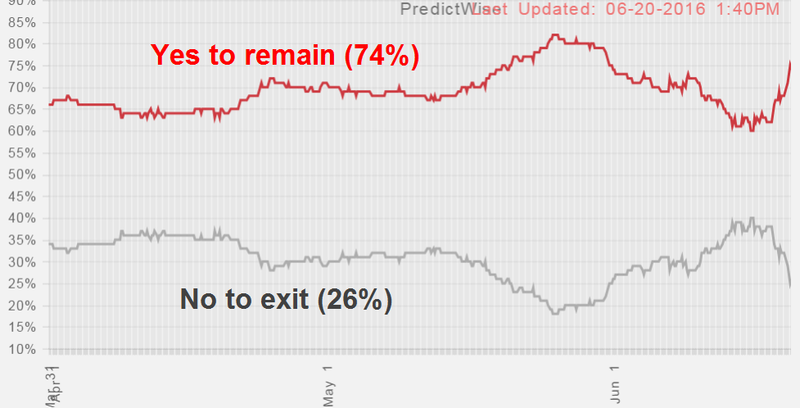 Prediction markets are currently putting a lower probability on this scenario at 26% odds for a No/Exit vote and 74% for a Yes/Remain. At this point, a vote to exit would be a major surprise.